Call today or book online to see one of our experienced dentists. If you’ve recently been experiencing tooth pain whether subtle or severe, there may be several reasons that could be the cause. The source of these issues are unknown until we can further investigate the issue. Please phone (07) 5665 7189 or email our team today to discuss the pain that you’re experiencing and book in a consult. 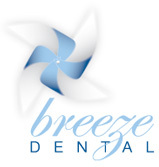 Here at Breeze Dental, we provide affordable dentistry treatment options to ensure that all our patients receive access to quality dental care and professional dental checkups. Restorative dentistry treatment to repair damaged teeth suffering from tooth decay or breakage. Breeze Dental in Helensvale provide tooth extraction for wisdom teeth that may be causing your pain and discomfort.